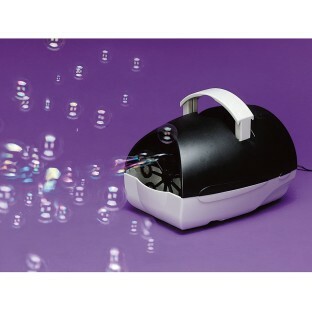 Create a constant stream of thousands of bubbles. Perfect for any occasion, parties, weddings, summer heat and more. DC adapter included or battery operated (requires 2 "C" batteries, not included). Bubble Juice (SL8694) not included. 10"W x 7"H x 7"D.
Create a constant stream of thousands of bubbles. Perfect for any occasion, parties, weddings, summer heat and more! DC adapter included or battery operated (requires 2 "C" batteries, not included). Bubble Juice (SL8694) not included. 10"W x 7"H x 7"D.
Our residents had great fun popping the bubbles! They were exercising and didnt even know it! !